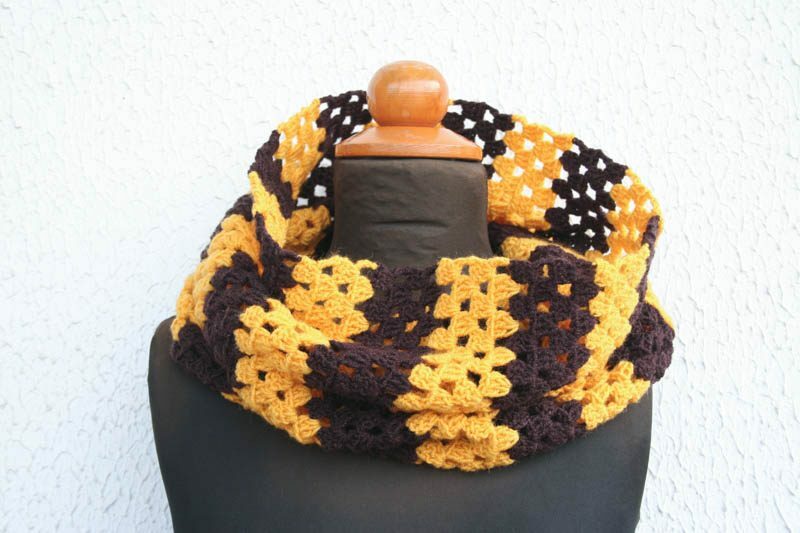 Crochet stripes cowl in two contrast colors: dark brown and yellow sunshine. 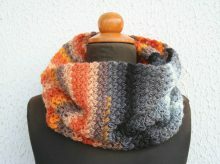 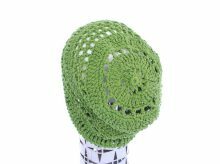 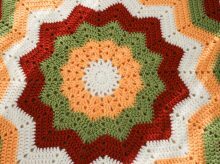 This handmade piece is only available one single item, made with a combination of acrylic and wool yarn. 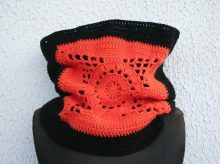 This cowl is using a simple stitch to keep it simple, nice and warm.